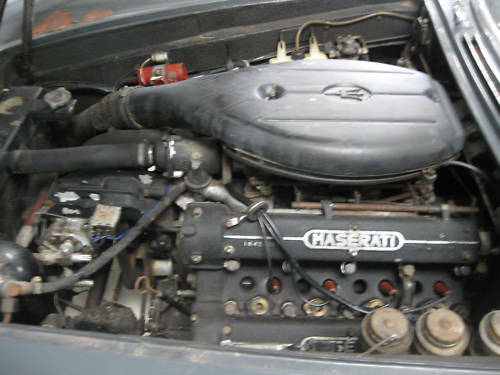 When talking about an old Maserati, the scariest sentence you can see or hear is, "Has not been running in some years, but was running when parked." That sentence is in this ad. 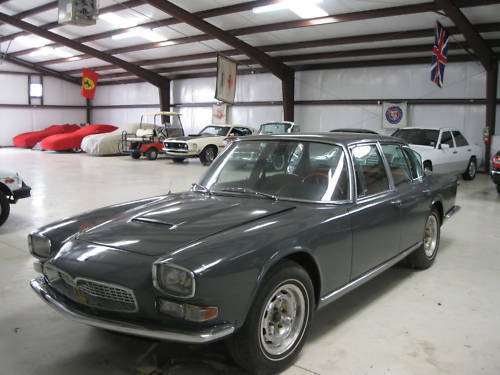 "Running when parked" means little when talking about an older Maserati. Maseratis, like most older Italian cars, don't take to sitting around very well. The easiest way to ruin a very nice Italian exotic is to not drive it. This can happen after just a short amount of downtime. The longer it sits the worse it gets. This car was "imported many years ago from Rome and kept in a building". Ooof. While it may have been in storage for awhile (or maybe because it's been in storage for awhile), this car has a lot going for it. First of all it's complete. I don't see any obvious missing pieces. That's important. Less than 800 Quattroportes (first and second series) were built. Trim parts are not easy to find. Except for some obvious rust on the front right fender, there appears to be no serious rust on this car. (That doesn't mean there isn't any, just that there doesn't appear to be any). It looks like the front right door was repainted at one point, so there may have been some previous rust or accident repair done. Best of all, the interior looks to be in very good condition and, other than treating the leather, appears to need little, if any, work. These cars were amazing sedans in their day. They're still impressive now. If you're thinking of buying this one or another similar one, make a list of everything it needs, look up the prices, create a budget and then double it for good measure. Of note: I suspect this car is not a 1966. 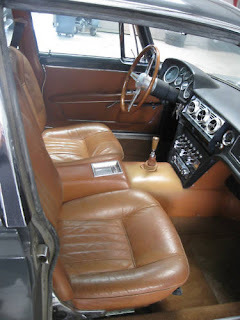 1966 Maserati Quattroportes had 4 round headlights and a wood veneer dash. This has neither. Being Italian and limited edition, this could be a 1966 build that used leftover parts, but more likely it is an earlier car that was first titled in 1966. The easiest way to tell is by the rear suspension. In 1966 Maserati replaced the De Dion set up with a rigid axle. If it has a De Dion tube it's an early car. Located in Oklahoma City, OK, click here to see the eBay listing. 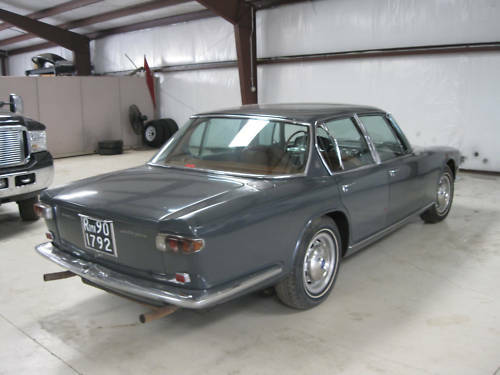 While I like the 60's era Quattroporte models, there are a bit of an acquired taste. I think the price here is a bit of a sticking point on this one. If the BIN price is $16K, maybe the reserve is around $15K. On top of that you will have to add restoration costs etc. There is currently a 1966 Sebring on ebay where the seller claims to have recently spent $20K on restoration. A nice Khamsin just sold for $28K and I guess I'll throw in the rusty Merak that went for a mere $2700. I think this would also be a hard sell as many of the current models are fast sliding into the $20K-$30K range. I'm certain the new Coupes will soon dip below $20K. What a moron, "there a bit of an..."
I should actually proofread this stuff before I post. On the other hand, at least I spelled "acquired" correctly. "I should actually proofread this stuff before I post." The first time I ever saw an early model Q-Porte was MANY years ago when I was a kid - returning from Lime Rock. I only saw it for the few seconds it took the car to pass us (in the other direction) but it remained etched in my mind for ever. Wow! I forgot what color it was though.